C. Vibius Afinius Gallus Veudumnianus Volusianus was the son of Trebonianus Gallus. 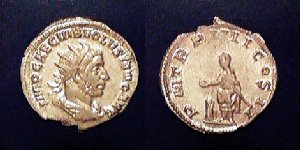 Volusian was given the rank of Caesar at the time of his father’s accession while the son of Trajan Decius, Hostilanus, was raised to the rank of joint Augustus. To further cement Volusian’s path to the throne, he was married to Trajan Decius’ daughter. 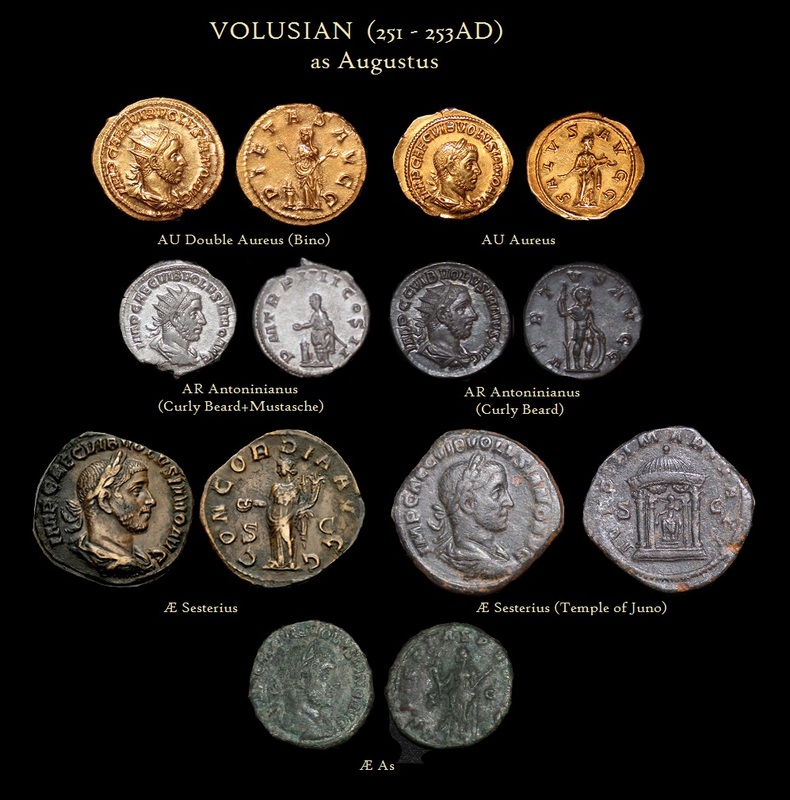 Following the death of Hostilian, due to the plague of 252 AD, Volusian was immediately raised to the rank of joint Augustus. The Governor of Moesia, Aemillian, began a revolt and marched upon Italy. He convinced the vastly outnumbered troops of Gallus and his son Volusian to abandon the leader and support his cuase. Indeed, Volusian and his father fell victim to an internal plot and were murdered by their own troops in 253 AD. IMP . CAE . C . VIB . VOLVSIANO AVG. 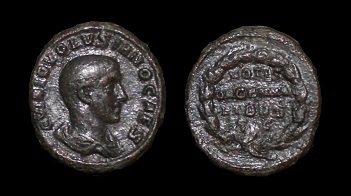 Note: The obverse type for double aureii, antoninianii and dupondii is radiate crowned bust right. All other denominations used a laurate bust right portrait style. 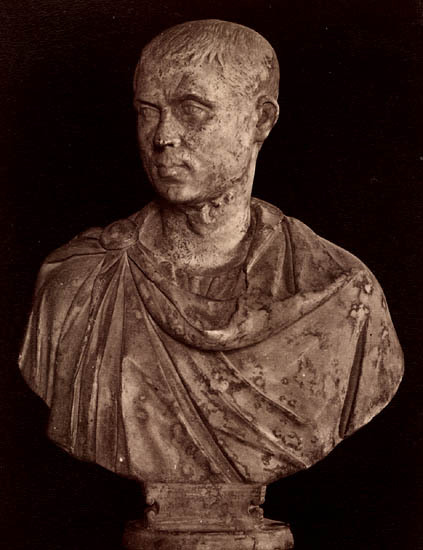 The bust is normally depicted draped wearing a cuirass. However, the cuirass at times is faint and may even be completely missing on some specimens.